Auto insurance protects the policyholder against financial loss in the event of an incident involving a vehicle they own, such as in a collision. Medical and/or personal injury protection (PIP) coverage, for the cost of treating injuries, rehabilitation and sometimes lost wages and funeral expenses. Most states have minimum required limits of liability, some require medical or PIP coverages. To protect yourself and your assets, you should carry higher limits. 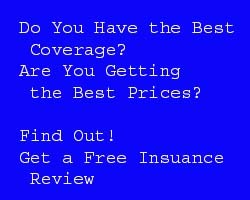 It is best to talk to an insurance professional to make sure you get the right coverage, based on your financial situation and other insurance you may have.